It was announced at last night’s 60th annual Grammy Awards ceremony that celebrated Russian pianist and 2016 Gramophone Artist of the Year Daniil Trifonov, ‘without question the most astounding young pianist of our age’ (The Times) – scored his first Grammy Award, winning in the Best Classical Instrumental Solo category for his album, Transcendental. 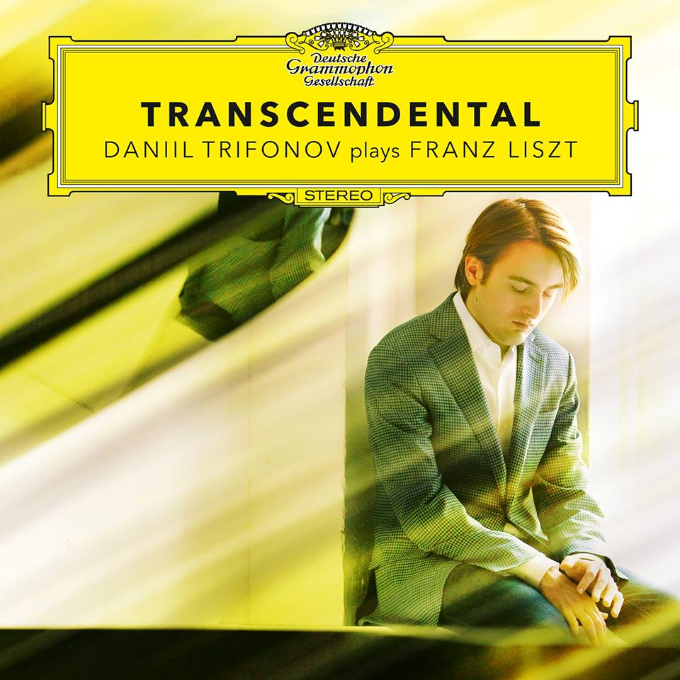 The album is Trifonov’s third release as an exclusive Deutsche Grammophon artist, and marks the first time the label has ever recorded Liszt’s complete concert etudes. Both the pianist’s previous albums were nominated for Grammy Awards, and his inaugural release, Trifonov: The Carnegie Recital, won an ECHO Klassik Award. That album also featured music of Liszt in the form of the monumental Sonata in B minor. Trifonov has chosen to devote much of his 2017-18 season to a long-term exploration of Chopin. In October he released Chopin: Evocations on Deutsche Grammophon, juxtaposing Chopin’s compositions with works by 20th century composers who were influenced by him, and a host of recitals on the same theme have taken the Russian pianist across the US, Europe and Asia, with four yet to be performed this spring. Over the course of the season he has also curated a ‘Perspectives’ series at Carnegie Hall, to which he returns in April for two all-Chopin concerts with the Kremerata Baltica chamber orchestra, before they embark on a European tour together featuring Trifonov’s own Double Concerto for violin, piano and orchestra. His final Carnegie Hall appearance of the season is a solo recital comprising seminal works from each decade of the 20th century. Rounding out Trifonov’s season are tours of Germany and the US.= with his teacher and mentor, pianist Sergei Babayan; Prokofiev with the Cleveland Orchestra under Michael Tilson Thomas; Rachmaninov with Tilson Thomas leading the San Francisco Symphony; Scriabin with the Seattle Symphony under Ludovic Morlot; two Rachmaninov concertos to be recorded live with the Philadelphia Orchestra and Yannick Nézet-Séguin; European tours with the London Philharmonic and the Royal Concertgebouw Orchestra; and much more. Daniil Trifonov appeared on the cover of Pianist issue 79. The issue is still available, in digital and print format. Further information about Daniil Trifonov.